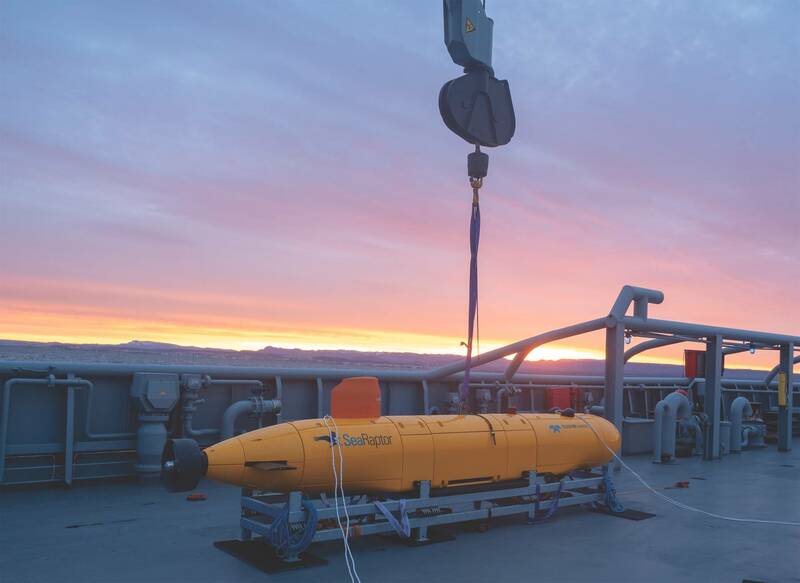 Teledyne Gavia will formally introduce its new 6000 meter rated AUV -- SeaRaptor -- at Ocean Business 2019 in Southampton in April. 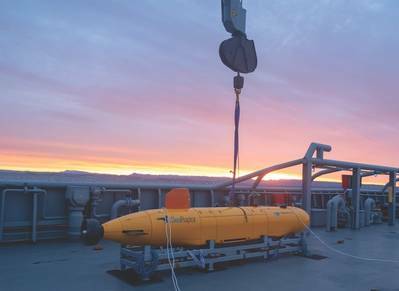 Teledyne Gavia will introduce its new 6000 meter rated AUV -- SeaRaptor -- at Ocean Business 2019 in Southampton in April. SeaRaptor AUV incorporates a broad range of Teledyne content including acoustic modems, ascent and descent weight releases, a black box pinger locator, sub-bottom profiler (Teledyne Benthos), multi-beam echosounders, obstacle avoidance multi-beam sonar (Teledyne RESON), Doppler Velocity Log (DVL), Current, Temperature, and Depth sensor (CTD) (Teledyne RD Instruments), and onboard processing software (Teledyne Caris). In addition, the first vehicle delivered also carried an Edgetech Side Scan Sonar with Dynamic Focus capability, an iXblue Phins 6K INS system, and a CathX Camera and strobe system. 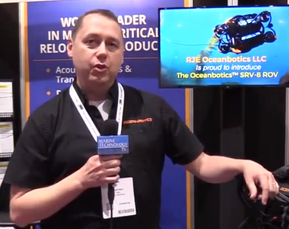 The integration of Teledyne Marine’s industry leading vehicle design, instrumentation, imaging, and interconnect solutions from a single supplier, as well as the incorporation of third party sensors into a turnkey package for customers, makes the company unique in the unmanned underwater vehicle market.